Having appendicitis, an infection of the appendix, during pregnancy is the most frequent reason for women to need surgery in pregnancy. It is estimated that 1 in 1,500 pregnant women will need an appendectomy during pregnancy. One of the biggest problems of appendicitis during pregnancy is related to diagnosis due to the physical changes in the pregnant body. It is easier to diagnose in the first and second trimesters. An important reason to get a diagnose early is that the longer you delay the more likely you may have complications, particularly the perforation of the appendix. If this happens, the fetal loss rates and the preterm labor rates are increased, upwards of 36 percent. This is more likely in the third trimester. The risk to mothers has dropped to near zero with good surgical technique as well as antibiotics. Lower right quadrant pain is the most common symptom, but 70 percent of pregnant women will not have a fever. So you will most likely have an ultrasound if your practitioners suspect an appendicitis is causing your pain. This is very good for determining what is wrong in the first and second trimesters, almost 86 percent as good as it is when you are not pregnant. The third trimester may be more difficult to diagnose appendicitis and your practitioner may suggest a CT scan to help confirm their suspicions. If you are in the first or second trimester, you will most likely be able to have a laparoscopy for your surgery. This is also known as band-aid surgery because it is accomplished through several small holes in your abdomen, as opposed to a larger incision. 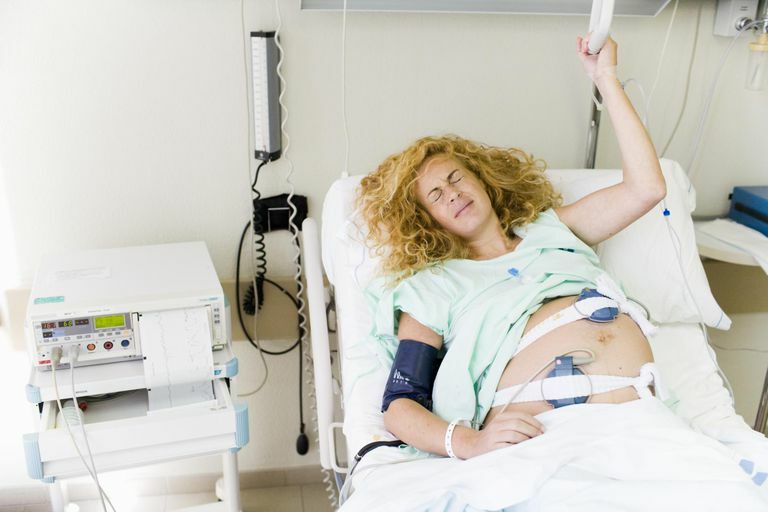 While someone who is not pregnant would normally go home fairly quickly after surgery when you go home will be dependent on how you and your baby are doing, but generally speaking, you will need to stay at least overnight. Recovery after surgery will be very important because of your pregnancy. You will want to stay home from work, typically, about a week, or more if you experienced complications or are having signs of preterm labor. Resting is important to healing, but so is moving. The sooner that you are up and out of bed, the faster you will heal and the fewer complications you are likely to experience. You will want to avoid lifting heavy objects. Eat nutritious food and keep your practitioner's appointments to help ensure that you are healing properly. Typically you will have a follow up with your surgeon within a week or two. The care between your surgeon and your doctor or midwife will be balanced, and you may need to help facilitate this coordination. Be sure to check with each practitioner to ensure that they are talking to one another about your care. Depending on when the surgery is in relation to when you go into labor, there should be no changes in your plans for your birth. If you have questions about the changes that could happen, be sure to ask your doctor at your appointments as you move forward.